Help families get back on their feet. Learn why Champ Camp is important. We advocate for and assist our families. The Bakersfield Homeless Center creates a strong safety net for homeless and at-risk families by providing a broad continuum of services which begins with basic shelter. Once crisis needs are met, programs are offered to foster self-sufficiency. We provide shelter today and the tools needed to independently maintain housing for a lifetime. In these tough economic times the need for food continues to rise and many who have traditionally been self-sufficient, have suddenly found themselves seeking assistance for basic needs such as food baskets, or hot meals. Last year the Bakersfield Homeless Center provided over 170,000 meals for hungry members of our community. 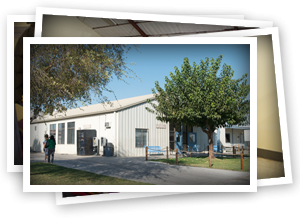 At the Bakersfield Homeless Center we treat the symptoms of homelessness while building healthy relationships. It is through these relationships that people in crisis find the courage to seek and find the help they need. Transitional services, including drug and alcohol counseling, medical, dental and mental health care, child care, after school programs, housing and job placement assistance are all made available. Our services help homeless individuals and families develop long-term solutions with lasting success. BHC is providing for families all across Kern County. We take pride in the people that we help. Connect with us online and follow how we are changing our world.